Sow Often, Sow Awesome, Sooo E-A-S-Y! Are these tiny plants called microgreens the new ‘foodie’ rage for gardeners, chefs and nutritionists? It may be a new idea to some, but eating tiny greens as a flavorful garnish or crunchy topping has been around for years. Microgreens are not sprouts – they are seedlings (stem, cotyledons, and first true-leaves; no root or seed coat) of edible vegetables, herbs and flowers. Easy to grow in just a few days from seed, studies have shown that microgreen leaves can have 4-40 times the nutritional value of the same mature vegetable. • Start with any shallow container. One with drainage is important. Choose anything from a standard seed starting tray to a recycled salad container from the market to an old brownie pan; or be creative! • Fill the container with moistened seed starting mix; not potting soil or soil from the garden. If the mix has large pieces of sticks or perlite, you may want to sift it. Smooth and lightly firm the soil. • Sow the seeds by scattering them evenly over the soil. 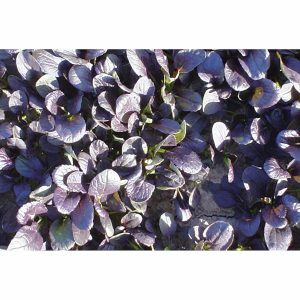 You can sow seeds to be grown as micro-greens thickly – even seed touching seed. One variety or mix and match. • Some people prefer to cover the seeds with a dusting of soil mix; others prefer to leave the seed uncovered and just water the seeds in. One recommended method is to cover the seeds with a paper towel and water the seeds right through the towel. It’s convenient, inexpensive, encourages the seeds to remain in contact with the soil and protects them until they are fully rooted into the soil. A paper towel is light enough for the newly sprouted seedlings to push up as they grow and doesn’t interfere with the germination process. Easy to grow in just a few days from seed, studies have shown that microgreen leaves can have 4-40 times the nutritional value of the same mature vegetable. • No matter what ‘covering method’ you choose, water the seeds into the soil gently from the top with a sprinkler or the ‘rose’ nozzle of a watering can. The seeds must not be allowed to dry out, so watering daily (or sometimes twice daily) is nessesary. Using a plastic greenhouse cover can also aid in keeping the seed moist. Each watering should be a gentle shower, so as not to disturb the seed or knock the new seedlings over. If using the paper towel method, continue to allow the seeds to grow until they have rooted into the soil and pushed the paper towel up before removing it. • Most seeds do not need light to germinate, but as soon as those little green shoots start to appear, place the tray in a bright sunny window. If the weather permits, you can grow your micro-greens outside. If adequate light is not available, grow lights are an option. • Remove the paper towel (add it to your compost pile) and any plastic greenhouse cover as soon as the majority of the seeds have rooted. Do not leave any greenhouse covers on once the tray has been moved into the sun; these little seedlings can quickly become overheated and die. • Over the next 5-15 days the greens will continue to grow and thrive as long as they have sufficient light and water. If the tiny plants are reaching for the light in one direction, turn the tray daily. Since the growing containers are shallow, daily watering is still required unless they are set up onto a self-watering tray. • Microgreens are harvested when they are 2-3” tall, have a stem and only the seed leaves (cotyledons) are fully developed (except pea shoots/tendrils; see notes on back). 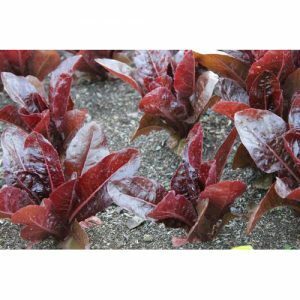 Don’t wait too long; once these seedlings start to grow true leaves, they start to require more care, spacing, and fertilizing or they will become stressed. Most micro-greens are a single cutting (except for Pea Tendrils). Cut them with scissors just above the soil. Newly harvested micro-greens are wonderful, but they can also be stored in a plastic bag filled with air for a few days in a refrigerator. 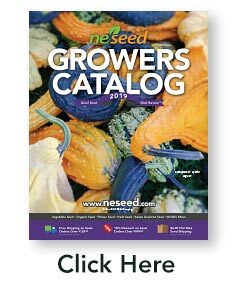 See all of our seed varieties suitable for Microgreens.